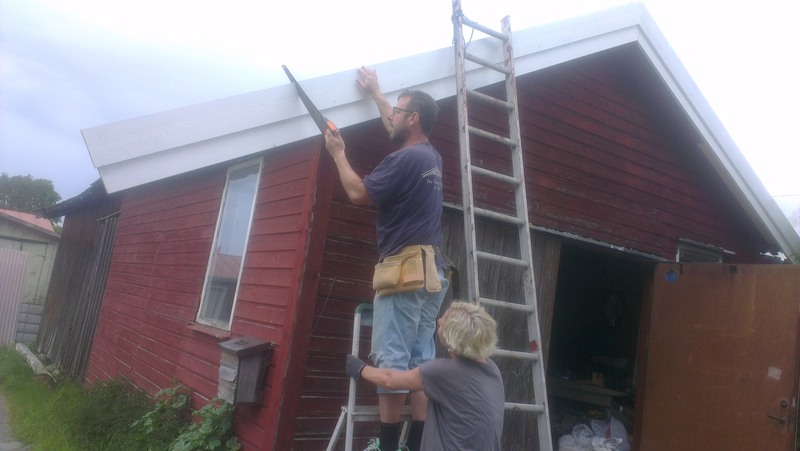 So today some friends came out to help me finish turning the barn into a gallery. Of course it’s not finished, things always take more time than calculated but I am so happy! I myself was quite a wreck since after going to bed at 2.30am. 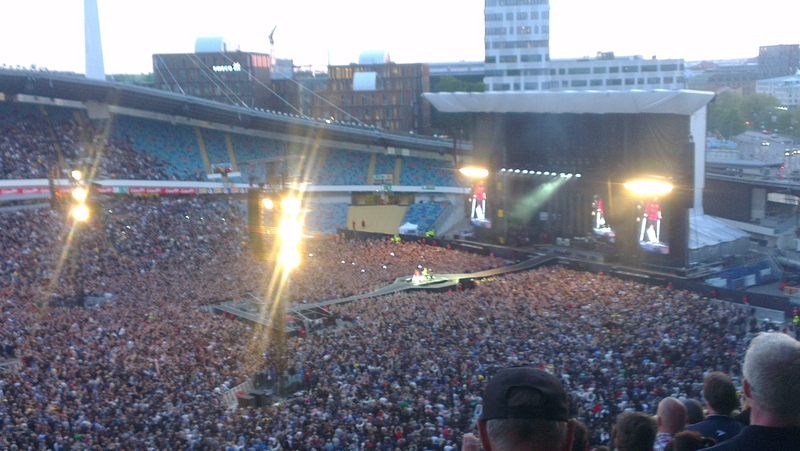 I took my soon to be 15 year old son and his friend to the Foo fighters concert in town(Gothenburg). 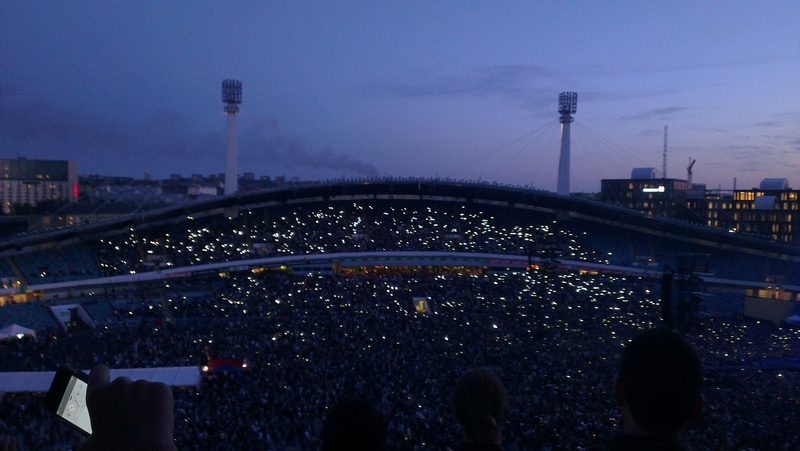 Their first big concert and it turned out to be epic(quoting the boys)… We came to the huge arena Ullevi and sat in blazing sunshine for three hours waiting and listening to Ghost, the support band. The Foo fighters come on, play one song and then starting the second song, the singer Dave Grohl falls of the stage and breaks his foot! After a lot of laughs, chock, drummer taking over the show, lots of people leaving and Dave promising to come back to Gothenburg we think it will turn in to an early evening and I feel so sorry for the boys. Then the big screen TV zoom in on a chair and we all know what’s coming. The singer comes back with his bandaged foot and plays for the rest of the evening, only to pause for having a cast on his foot and then carries on. I usually don’t blog about things that happen off the island but this was one of these evenings I won’t forget. Just like today. Woke up early and painted the fascias (thank you for the translation fellow blogger Snail of happiness, I didn’t know the word for it in English!). After a few hours I started to despair, thinking no one would show up but then everyone came at once! The barn got emptied out, the fascias put up and the floor rainproofed from the outside. Plus a lot more. It felt so good to have more hands and the main thing to have more brains. Little things can grow so huge when you mull over it over time and when you ask someone else they have the easy solution straight away. It turned out to be the perfect combination of talents as well. All of a sudden I had a project leader, a handy man, a cook, a fine carpenter and a painter at hand. 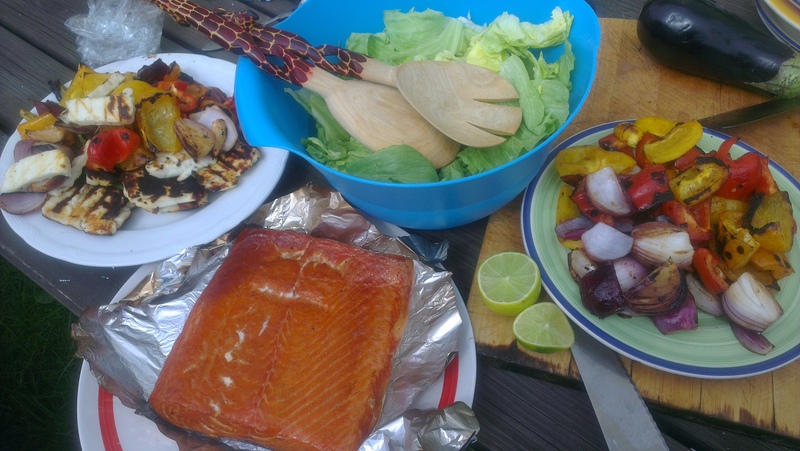 We also had time for a fantastic lunch of my husbands smoked salmon, barbecued veg, grilled halloumi and sallad. At the end of the day I was knackered but still filled with new energy for the gallery project. It felt like removing all these hurdles gave me more will and strength to carry on. Also I’m overwhelmed with my friends goodwill and effort! On the island it rains horizontal but now the floor is saved! This entry was posted in Hen island, The barn, The island, The kitchen, Uncategorized and tagged barn, concert, diy, foo fighters, friends, Galleri Gårda, gallery, smoking. Bookmark the permalink. Well, you have been having an eventful time! 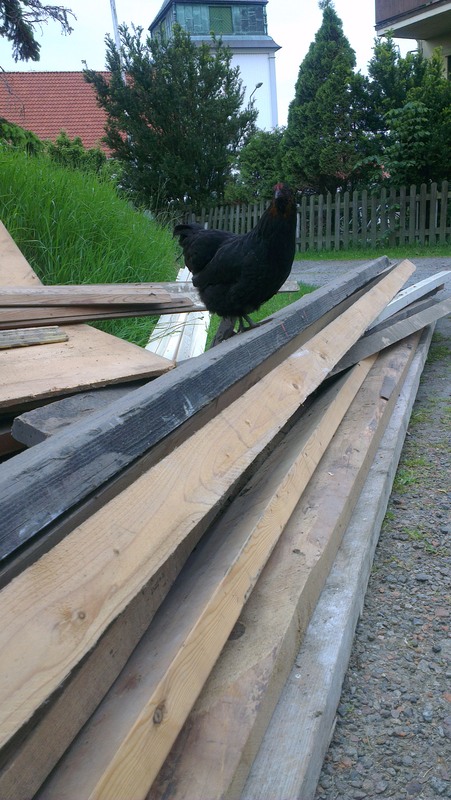 So pleased the barn is coming along well… can’t wait to see it in it’s new incarnation.